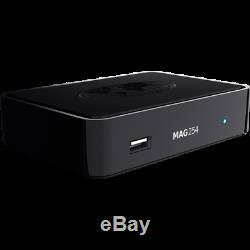 Item comes with eu , uk or uae plug (DEPENDING ON STOCK) we will send you free uk plug. Same Day Dispatch If Ordered Before 3pm! (Except Weekend And Bank Hoildays). Estimated Date Is Not Guatanteed! Please read the description on full along with the FAQ! We are getting many buyers who expect to be spoon-fed all information and make out it is our responsibility to help you and in some cases buyers are logging cases because they do not know what they are doing. Even faster and more powerful media processor STiH207 with the frequency of 650 MHZ, a bigger RAM of 512 Mb. 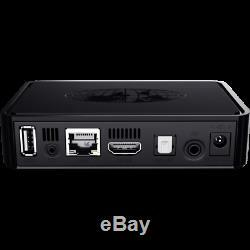 Highest video and sound quality with HDMI 1.4A and S/PDIF. Playback of video and audio content of all widespread formats and definitions broadcast over local network or from the Internet. Compatibility with different transport (RTSP, RTP, UDP, IGMP, HTTP) and networking (UPnP, SAMBA) protocols. 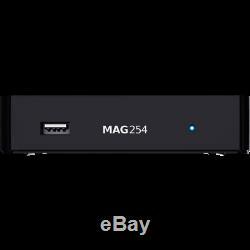 MAG254w1 is integrated with Secure Media, a system of content protection. Operating system: Linux 2.6.23. Middleware supported: Stalker, Netup, SmartLabs, Netris, Beenius. Composite + stereo A/V output Ethernet 100 Mb/s. PC and NAS in local network. Stream media protocols (RTSP, RTP, UDP, IGMP, HTTP) USB-devices. 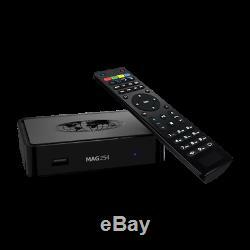 Audio odecs: MPEG-1 layer I/II, MPEG-2 layer II, MPEG-2 layer III (mp3), MPEG-2 AAC (optional), MPEG-4 AAC LC 2-ch/5.1ch (optional), MPEG-4 AAC+SBR 2-h/5.1ch (optional), Dolby Digital (optional), DTS (optional). Audio formats: MP3, MPA, M4A, WMA (optional), OGG, WAV, AAC. 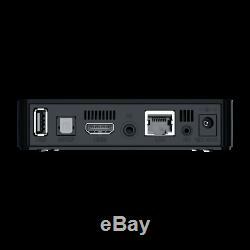 Video modes: 1080i, 1080p, 720p, 576p, 480, PAL, NTSC. Video containers: MKV, MPEG-TS, MPEG-PS, M2TS, VOB, AVI, MOV, MP4, ASF, QT, WMV. Image formats: JPEG, PNG, BMP, GIF, RAW. Subtitles: DVB, SRT, text MKV. 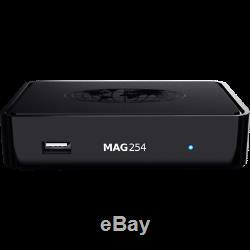 MAG 254 w1 Set-Top Box, user manual, Power adapter EU 2 Pin 12V 1A, remote control, 2 AAA batteries, packaging. If you are not satisfied with our product. 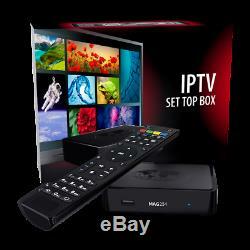 Any return of faulty items we will cover the return postal cost. Please note, if you dont want the item for any other reason postal charges is yours. Any return, please send by recorded post only.